David Krut Projects and Jessica Carlisle are delighted to present The Portrait of a Lady, an exhibition by Hester Finch. The exhibition sees a continuation of the artist’s central themes - identity, personal freedom, and societal restraints on our actions and thoughts - but here from the female perspective. 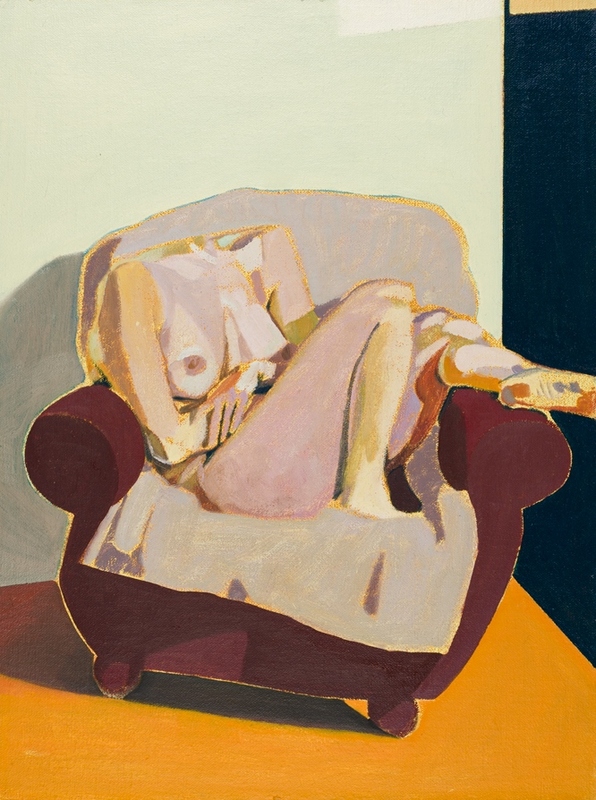 The works comprise a series of paintings of highly colored nudes. They sit, lie and stand in informal poses - only the head of each has been removed. Despite the apparently violent act of decapitation, we don’t immediately recognize the nudes as headless. The insouciance of the models' poses jar with the shock of the headless body, and the flat planes of color mislead the eye.